Are your periods normal or are they controlling your life? 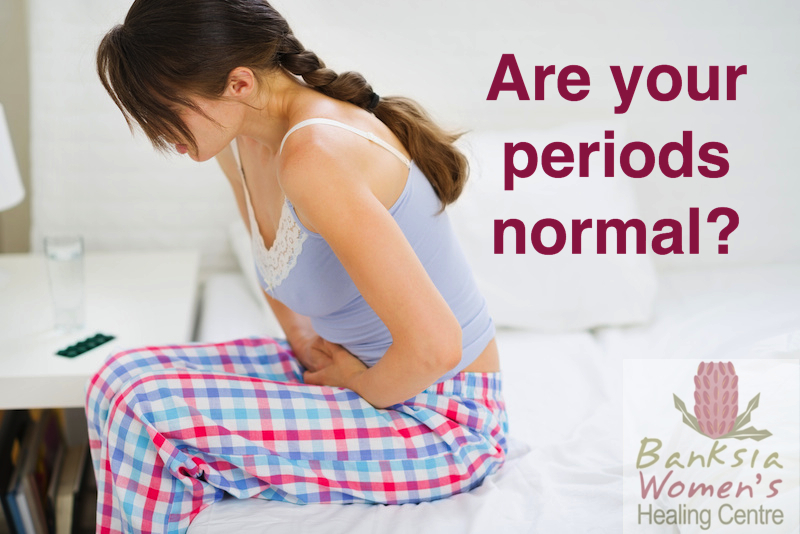 How do you know if your periods are normal? As women we often just get on with life, believing monthly symptoms such as sore breasts, cramps, headaches, bloating, bowel changes, fluid retention, acne or mental irritability along with tears, or mood swings are part of a normal period. The reality is that they are actually signs that your hormones are out of balance. As women we pass through many different life stages, from the child, to teenager, to woman, young mother, peri menopause, menopause and finally maturity. All these seasons affect women’s periods and hormones. But what is a normal period? A period can start from the age of 9-17 years and in this world of plastics and hormones in our foods, young girls are frequently getting their first period earlier than their matriarchs. Flow: When menstruation starts using three to five pads a day is about normal, any more than this is classed as a heavy period. Cycle: A period should be should be every 27 to 30 days on a regular basis. Pain: There should be no pain associated with a period. If you’re concerned about your periods, observe your cycle and record the signs and symptoms using a Menstrual Cycle Symptom Diary which are available free of charge on request from our clinic. The recordings of your observations and experiences will assist us as Chinese Medicine Practitioners to determine how to help you become balanced and pain free again. If you have other signs or symptoms relating to your period that you are concerned about, please contact us at the Banksia Women’s Healing Clinic Brisbane and we can help you have a monthly cycle that is easy and painless. Therefore enjoying your life.